The GDPR (General Data Protection Regulation) is a regulation of the European Union which constitutes the reference text for the protection of personal data. It strengthens and unifies data protection for individuals in the European Union. The regulation came into effect on May 25, 2018. The GDPR applies to the 28 countries in the European area and to all companies dealing in some way with the data of the citizens of Europe. Am I concerned by the GDPR? 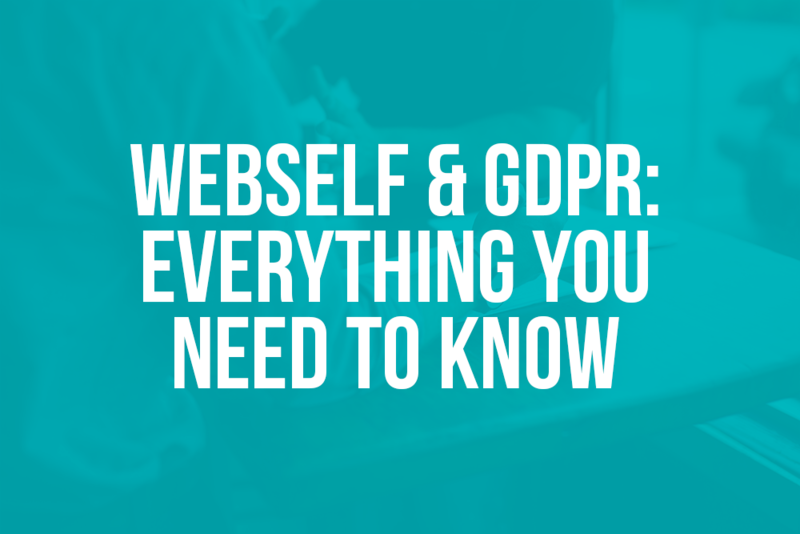 The GDPR concerns any website that collects and analyzes information such as name and surname, postal address, telephone number, bank details, etc. That being said, every WebSelf user is concerned by this law. Which of my personal data is being collected? We collect and process your first name, last name, address, email address, password, phone number, IP address, connection data and navigation data, order history and preferences. Some data is automatically collected because of your actions on the site, other information can be transmitted by partners. To create and maintain a reliable and secure environment. You need to keep a record of clear and accurate processing of your data and you must respond to solicitations on the data you collect. If you use Google Analytics, you must follow these three steps to be compliant. Go to analytics, click Admin, Account Setting, view the change, and then click Finish. Then to declare the administrators of the data you collect, simply click on Administration, Account Setting, Manage DPA Details and complete the three conditions of the GDPR (Main Contract, Contract of your DPO and a representative of the Economic Area European). Note that only the main contract is to be completed for small structures. You will be required to set up a data retention period. To do this you need to click on the property, administration part, tracking information, data retention and finally choose a retention time. ** These options are disabled by default, it is up to you to activate them according to the legal obligations of your country of residence in order to comply to the legislation.